Ruddington Grange are members of Foremost, the golf equipment group who deal with some 1000 professionals' shops across the UK. Thanks to the buying power that Foremost generates, Ruddington are able to offer the very best prices. Our PGA-qualified staff provide a high standard of personal service and knowledge - including the ability to 'custom-fit' anyone ordering new clubs. The professionals use SkyTrak for fittings and also lessons to ensure you get fitted correctly and have an experience to remember and come away knowing you've been given the best service. All leading brands of are stocked in the Ruddington Grange Golf Club including Callaway, Mizuno, Ping, Taylor Made, Titleist and Wilson. 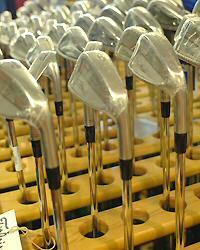 For clothing we stock Galvin Green, FootJoy, Under Armour, Callaway and Adidas. Footjoy and Adidas Golf Shoes. Buggies and trolleys are available for hire from the shop. Summer: Monday-Friday 8am until 6.00pm, weekends 7.00am until 5.00pm. Winter: Monday-Friday 8am until dusk, weekends 7.45am until dusk. Ian Gelsthorpe (Director Of Golf) Born and bred in Nottingham, he gained a BA Sport and Leisure Studies degree at Staffordshire University, where he was part of their golf team. Responding to an advert for an assistant-professional at Ruddington, he joined the staff in April 2002. With a handicap of 2.6 he opted to become a professional after coming third in the Notts Alliance 'Order of Merit'. Since gaining his PGA Foundation Degree in December 2006, his main focus has been on coaching rather than playing. 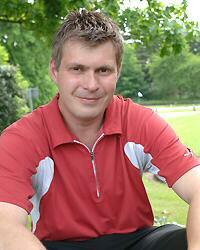 Simon Booth (PGA Professional) Joined the team early 2014. After a decorated amateur career representing the County at Boys and Mens level and in top National competitions also winning at both levels aswell Simon decided to turn Professional off a +2 handicap. Simon has three Professional wins and 2 course records which he is looking to add to in the future. 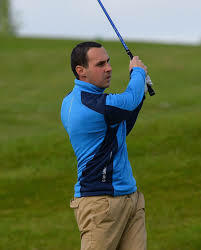 A passion for coaching and Junior golf, Simon has helped grow the Junior section here at Ruddington to help achieve progression with Juniors particaption in County, Region and National competitions and also the increase children playing golf. His aim is to create a friendly and social atmosphere to encourage all lessons to use Ruddington Grange whereby a new way to build friendships and help understand students their golf swing to help improve achieving scoring lower scores. Two people: £90 for a series of six individual lessons including a playing lesson. Passport golf courses are also available for children at Ruddington Grange starting at the age of 6. Junior Young Masters Golf, 8 Weeks Saturdays 10-11am (Ages 4-10) & 2-3pm (Ages 11+) - £50 per child includes YMG folder and current badge level. Bookings through the Professional Shop.